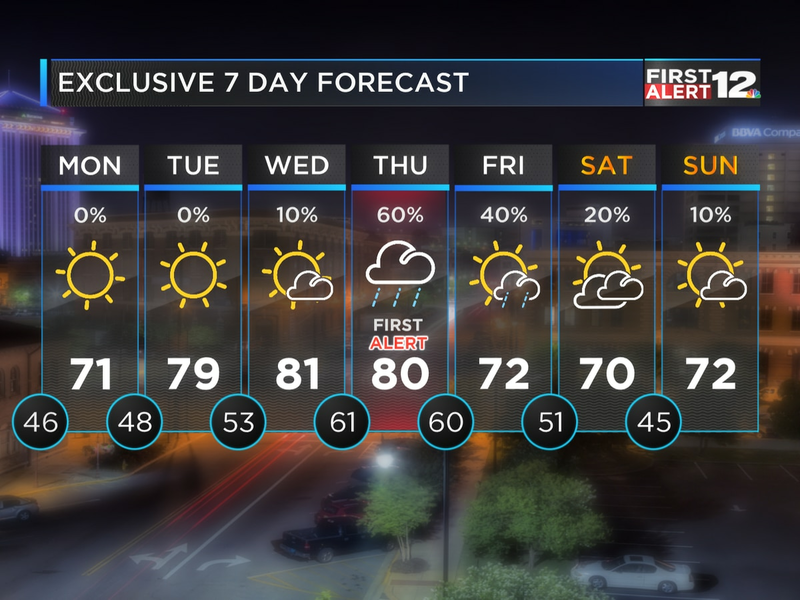 MONTGOMERY, AL (WSFA) - Perfect Spring weather continues for the next few days across Alabama. A clear, cool night is underway; we’ll bottom out in the upper 40s by sunrise Tuesday. Expect sunny, comfortable weather tomorrow, with a light breeze and temperatures soaring into the upper 70s to lower 80s. Our next system arrives on Thursday, as a potent cold front slices through Mississippi and then moves into Alabama. Ahead of the front, warm and unstable air will surge in from the Gulf of Mexico. Then, a secondary surface low will develop along the front, somewhere to our northwest. The exact timing and intensity of this secondary surface low will determine exactly what happens in Alabama - is this a line of storms that passes with little fanfare, or a more robust severe weather event with tornadoes, large hail and wind? 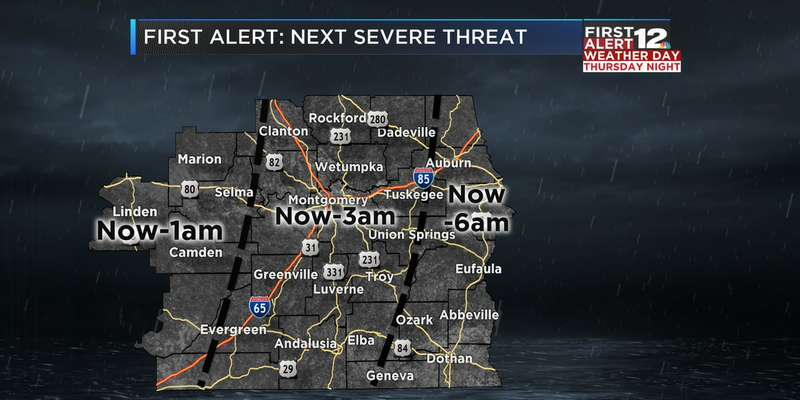 As of this writing, the data leans more towards the idea of a risk of severe weather, so we’ll go with a LOW risk for now. This is likely to change as we get closer to Thursday night. Either way, you should have multiple, reliable ways of getting weather warnings in place - just in case. Cooler, drier air slowly returns for Friday and the weekend - as of now, we expect a perfect Easter Sunday, with sunny weather, cool mornings and warm afternoons. A weekend with no storms - we’ve earned it! Done with the storms, but for how long?